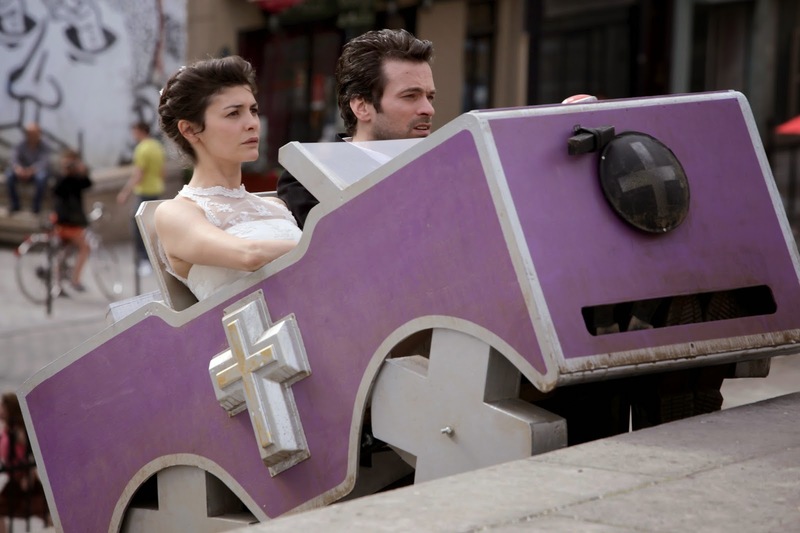 I continue to be intrigued by Audrey Tautou's artsy new romance film, MOOD INDIGO, as today we see a brand new batch of beautiful images from the movie which is heading to theaters next month. Though Omar Sy can only be seen in one of them (just enough to remind you that he's in the film, too), we do get to relish in the whimsical romance between two lovers (played by Tautou and Romain Duris) through the delightfully kooky lens of Eternal Sunshine for the Spotless Mind helmer Michel Gondry. Seriously though, looking at these images makes me kinda wish that I was living inside a Gondry movie. But, judging from Eternal, there will likely be some unnatural disaster that will split these two lovebirds apart (which could be the strange illness indicated in the film's description). So maybe not. 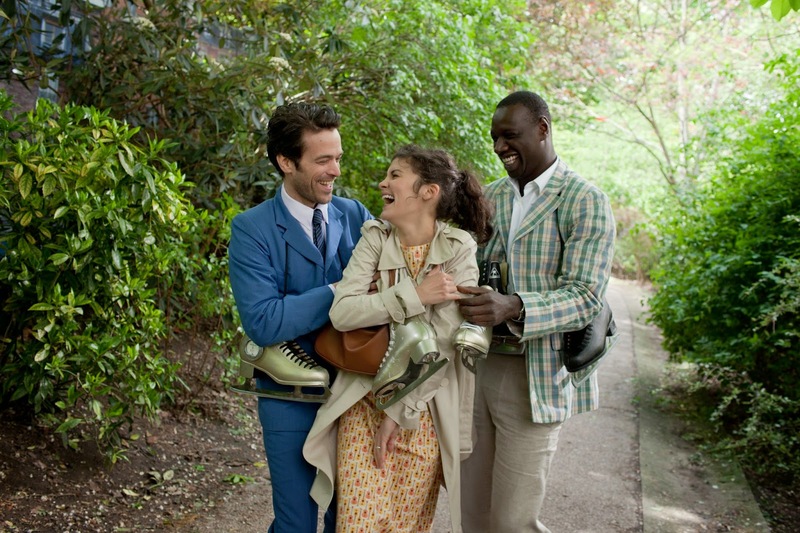 MOOD INDIGO comes to select theaters July 18th.